I got the body back, the good news is that it wasnt very out of alignment but the front right suspension tower was sitting about 8 mm’s too far outwards so it was pulled back to the correct position. 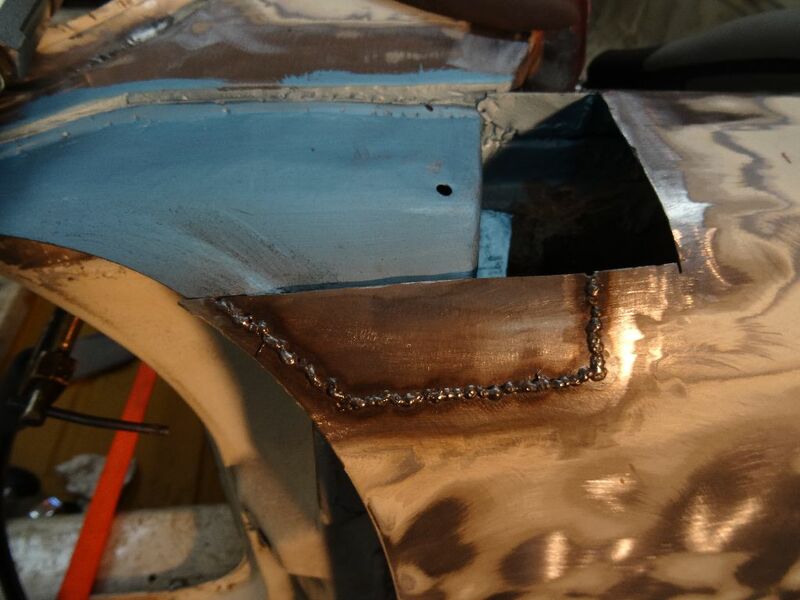 First piece of fender going back on, a few small spot welds to keep it in position. 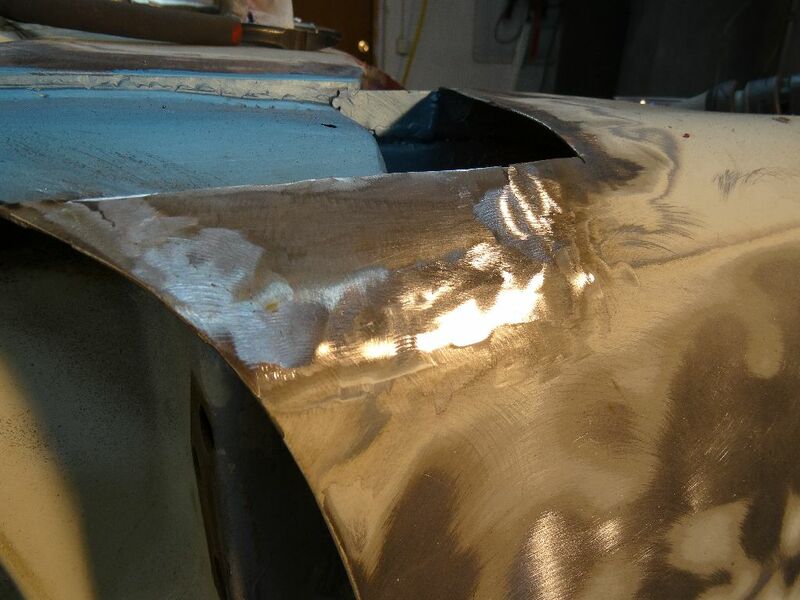 Alot more spot welds, all made with the lowest heat input and then directly cooled with a damp cloth and spaced apart so the metal wont get warped. 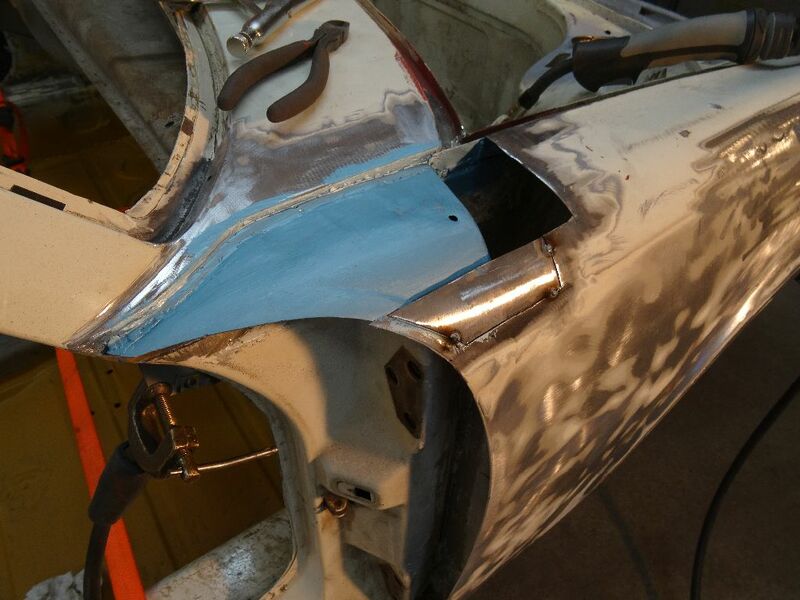 I didnt take any more pics but the entire panel is now closed up and done and the gap between the fender and the cowl is also welded up. 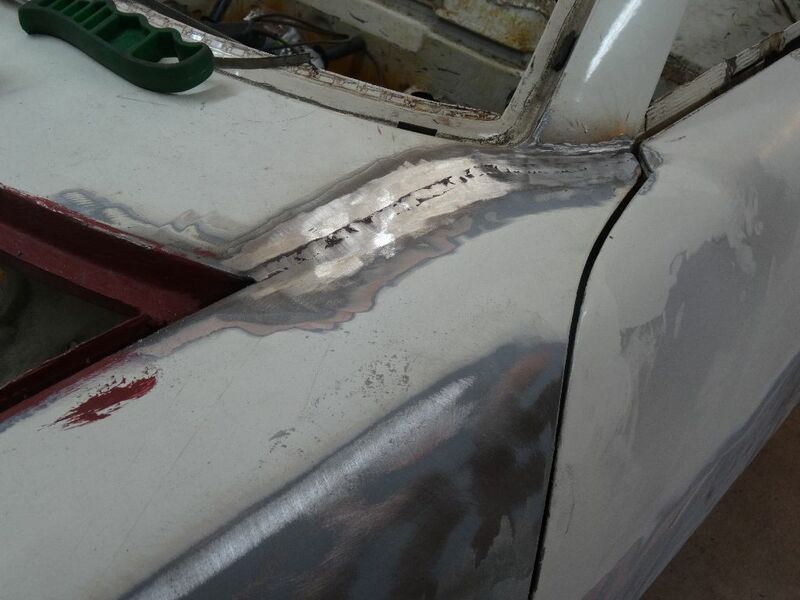 After that I did the same thing to the drivers side fender and cowl gap.